No matter how hard I’ve looked, finding a do-all end-all pair of hunting boots seems like an impossible task. I hunt in an extremely wide range of terrain, temperatures, and weather conditions, so my feet demand a few different pairs of boots to suit each of those environments. As a traveling hunter who makes tracks in different states and seasons, here are four styles of boots that I have found totally necessary to own. A light, breathable, and preferable low ankle boot can be an instrumental tool for early season bow hunting – especially in states such as far western states like California or Arizona. 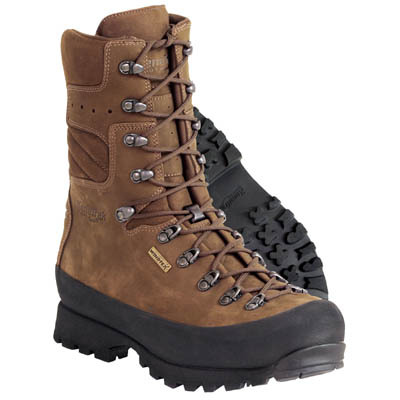 A solid hiking boot makes a terrific early season boot because the less-rigged build is extremely comfortable and your feet, and allows much more movement of the foot as well as the ankle. I really like hunting in the Kenetrek Bridger Ridge boot because they are rugged enough for any country, but they breathe extremely well. They are also incredibly comfortable in any country, which is a necessity when hunting the diverse terrain that I find myself in. When the mountain gets too steep and rugged, a little more ankle support may be exactly what you need. 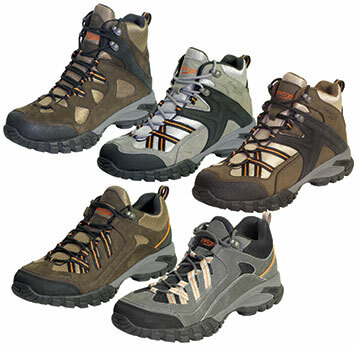 An uninsulated pair of mountain boots will often be the primary hunting boots in your closet. his boot should be able to cut it in a wide variety of weather, from the warm temperatures, down to the colder days. If needed, just throw on an extra pair of socks to provide any further insulation. My go-to mountain boot is the Danner Mountain Assault Canteen. The next pair of boots to invest in is a pair of mountain boots that are insulated. The exact amount of insulation is subject to the user’s preference, but be conscious of exactly how low of temperatures your uninsulated mountain boots will stand up to. 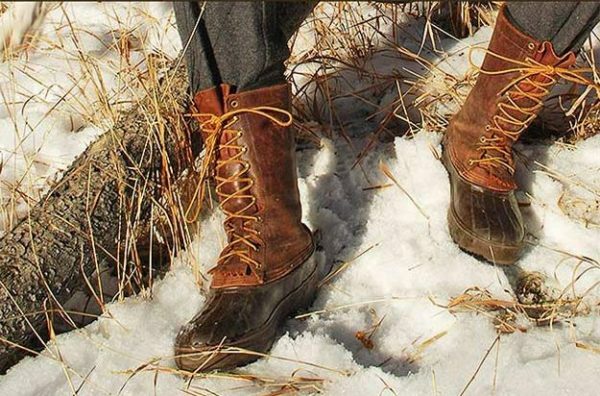 These boots will be favorable when hunting in mountain terrain, or similar rugged country, while the temperatures are consistently low – a late season elk hunt is a terrific example. When there is snow or frost on the ground, and you are on your feet trudging through the backcountry for hours at a time, then a pair of insulated mountain boots is what you need. I prefer the Kenetrek Mountain Extremes. These boots are favored by many western hunters, and there’s a good reason for that. They provide comfort, as well as ultimate toughness on the mountain. Not everyone will need a pair of snow-pac style boots. They are often known as a favorite of western ranchers as well midwestern whitetail hunters who spend many days of the season in a tree. Though they may not be specifically made for taking on the toughest of terrain, a good pair of snow-pacs will keep your feet warmer than any other boots out there. Sometimes I sacrifice the comfort and rigidity of mountain books in order to receive the luxurious warmth from a nice pair of snow-pacs with a thick wool liner. Some of the best snow-pacs in the hunting industry are Schnees snow-pacs. They are made in Montana, where folks are no stranger to rough weather.